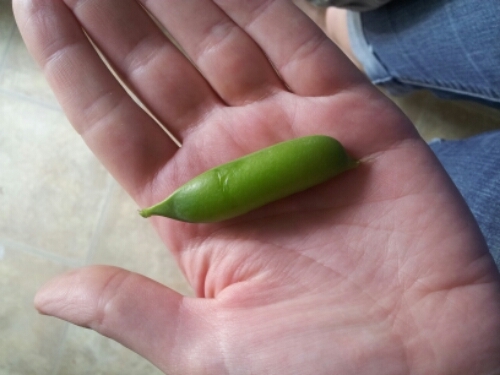 The garden is producing! I have been waiting all winter and spring for this. So far we have eaten three kale salads and today I ate four peas. 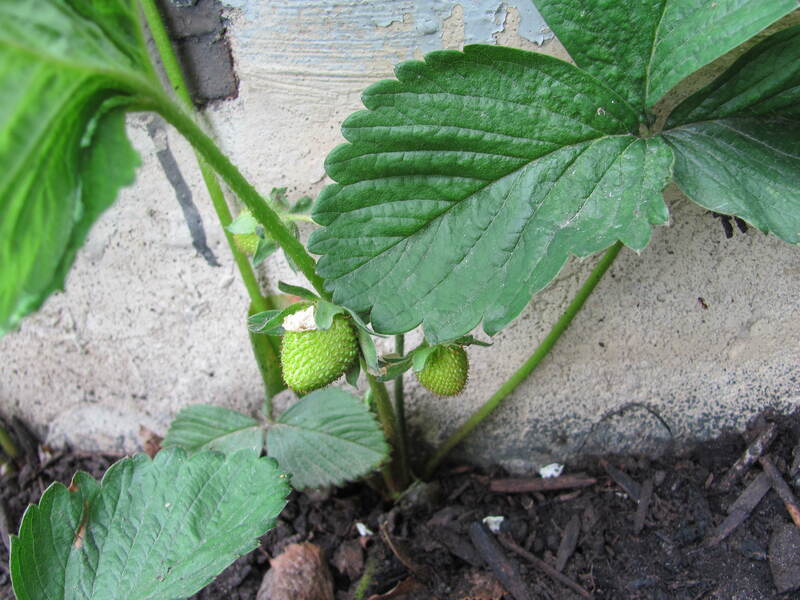 Tomorrow there may be a strawberry ready! Because the bounty is small in size and amount it is enjoyed that much more. It is relished and savoured with every sense. 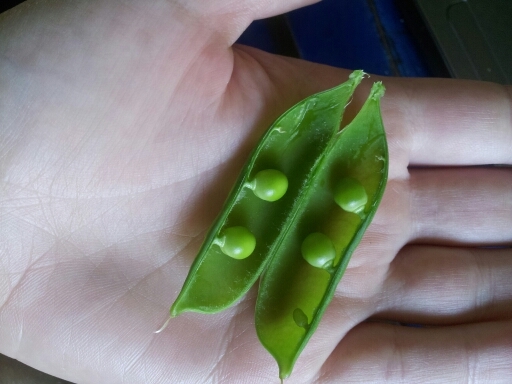 I breathed deeply the smell of those four small peas before eating them. There is nothing like it. I’ve been seeing ‘Summer Bucket Lists’ popping up here and there. Though we have 3 weeks of school left here, I am definitely starting to get into the summer frame of mind. I was actually going to do a bucket list post, but then I thought against it. Usually I am all for goals, lists and schedules, but I want this summer to be different. We already have plans for the summer. Too many plans if you ask me. Trips, visitors, weddings. Even two months can start to seem like not enough time if you try to cram too much into it. This summer I want to go slowly. Sleep late, read on the deck, eat on the grass outside, sit up late by the campfire. Just enjoy the time. I want to move slow, be quiet, take time. I want to enjoy the garden, the lake, and any other place I happen to find myself. I guess that is my summer bucket list. As a kid rhubarb was a thing eaten by dunking in white sugar. 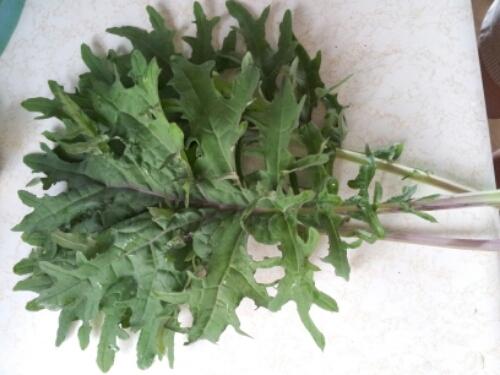 To be honest, it’s the only way I’ve ever eaten it, until a friend gave me a big armload of it from her backyard. It was a bit too much to just eat raw so I decided to bake into something. 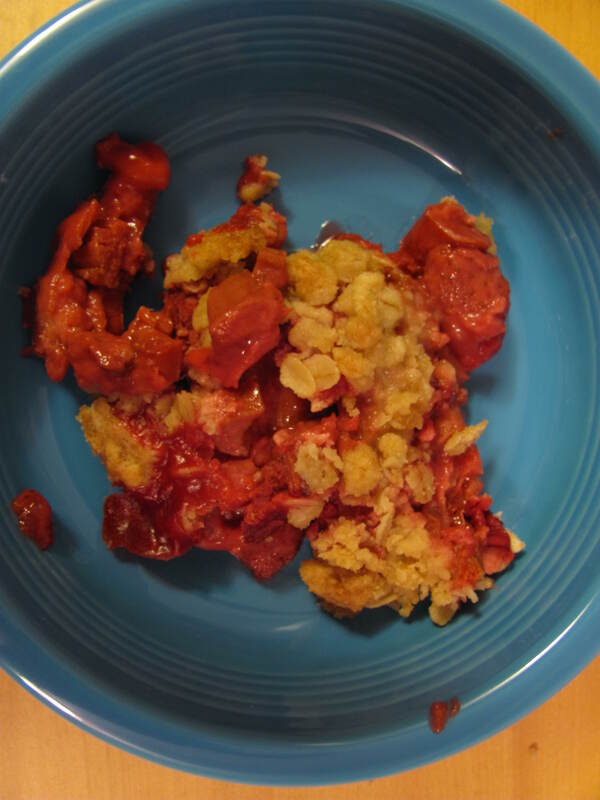 I went with a crisp, mixed with strawberries to take some of the edge off the sourness. Here is the recipe I used. 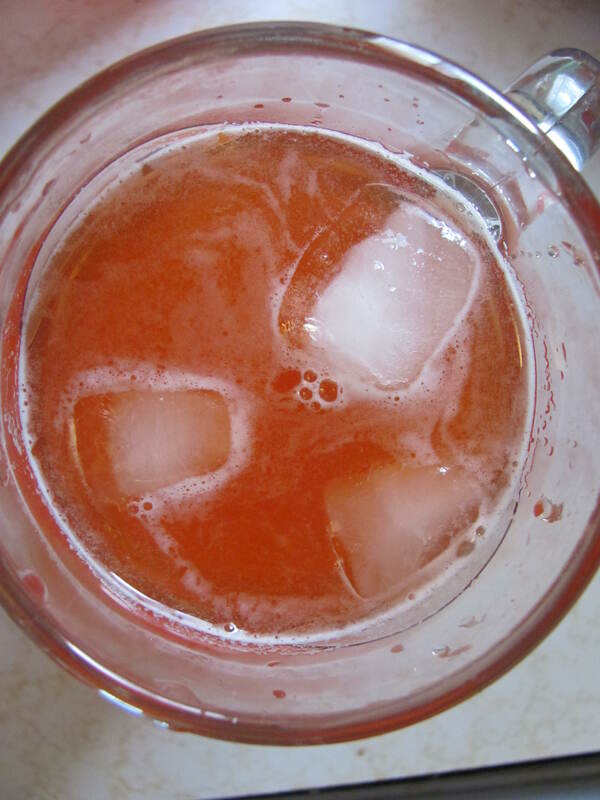 I followed it, except for leaving out the orange zest and just using about a quarter cup of juice from a carton. I also used frozen strawberries and left out the spices. I was kind of worried about how it would turn out. I didn’t know if it would be sour, mushy, soupy or something else less than wonderful. Luckily, it was just wonderful! A little tart, but in a super flavourful way. If you don’t have rhubarb in the backyard, you can usually find it at farmer’s markets this time of year. Give this recipe a try, it’s different, but fantastic! Try it for breakfast with a little strawberry yogurt on top, delicious. Our garden is officially ‘all in’. We thought it was before, but we kept slowly adding things here and there. We tried a lot of new things this (chard, tomatillos, peas, etc.). 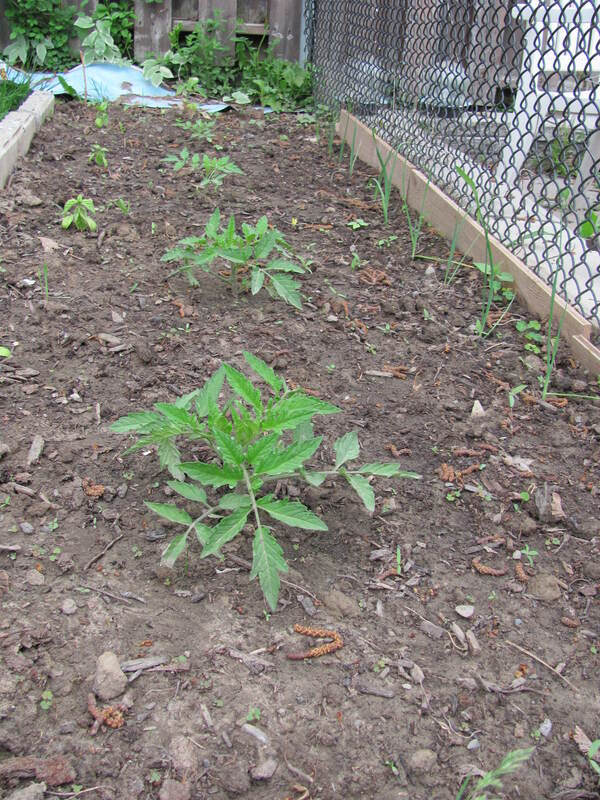 We are exciting to see what does well and already thinking about next year when our garden will be huge. We’ve had pretty optimal growing weather the past few days, with lots of sun and humidity for most of the time and the occasional crazy rain storm. We also got a rain barrel this weekend which helps since the water we use isn’t so cold. 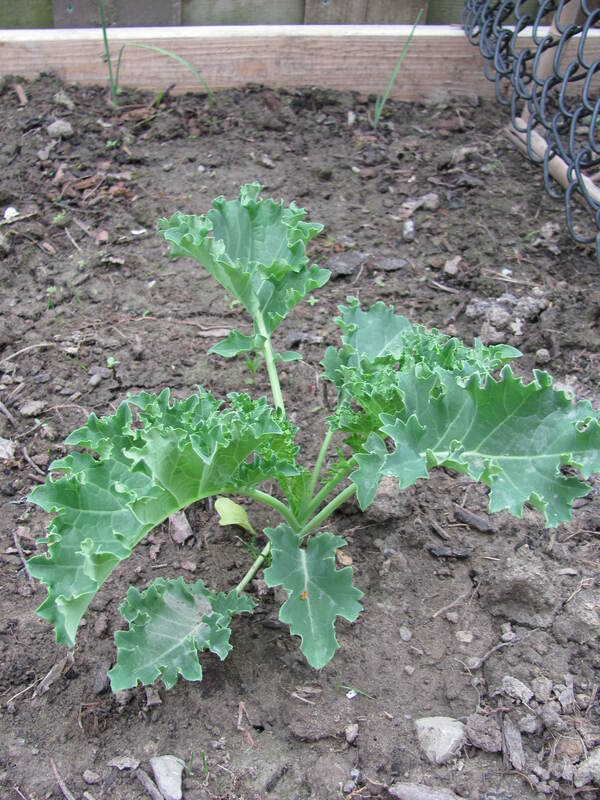 We should have strawberries next week (if I can keep the critters from getting them first) and kale shortly after that. P.S. If anyone has any advice for keeping rabbits away please share. 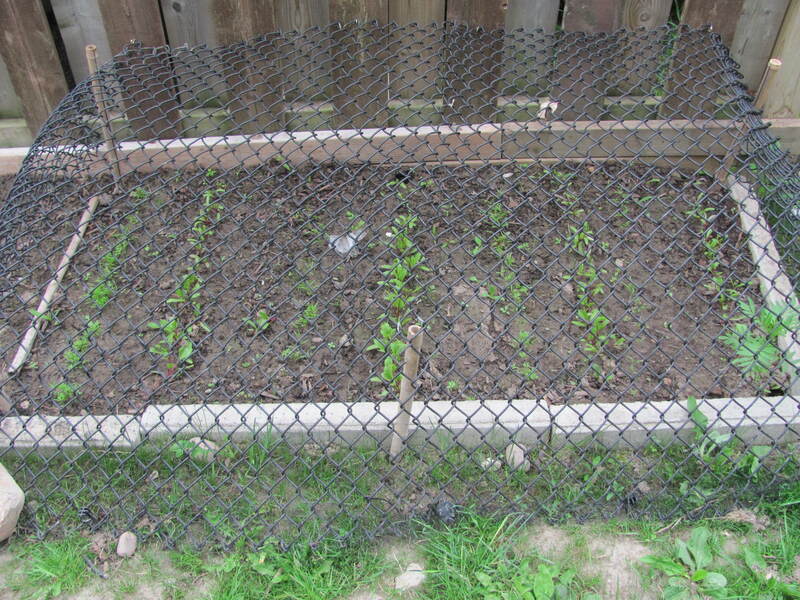 We have our intense jail structure (see 2nd picture above) covering our carrots and beets, but we learned afterwards that bunnies also love pea plants and chard. Save our veggies! This weekend the weather was beautiful. We were sitting out on the patio enjoying the sun and longing for a cold drink. We didn’t really have anything that fit the bill so I made due with what I had. I took a couple of handfuls of strawberries out of the freezer and put them in a pitcher with a few squirts of lemonade. Next I filled a pot with water and added about a quarter of a cup of sugar. I heated it on the stove until the sugar was dissolved. I added this to the pitcher. 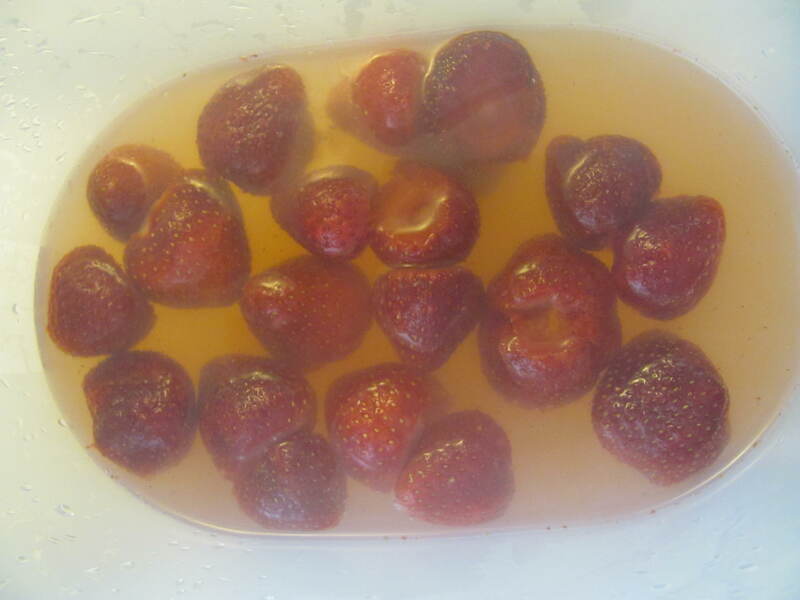 I took a potato masher and mashed up the strawberries as best as I could then filled it up with water. You can either let it sit for a while, then strain it or just strain it as you pour each glass. 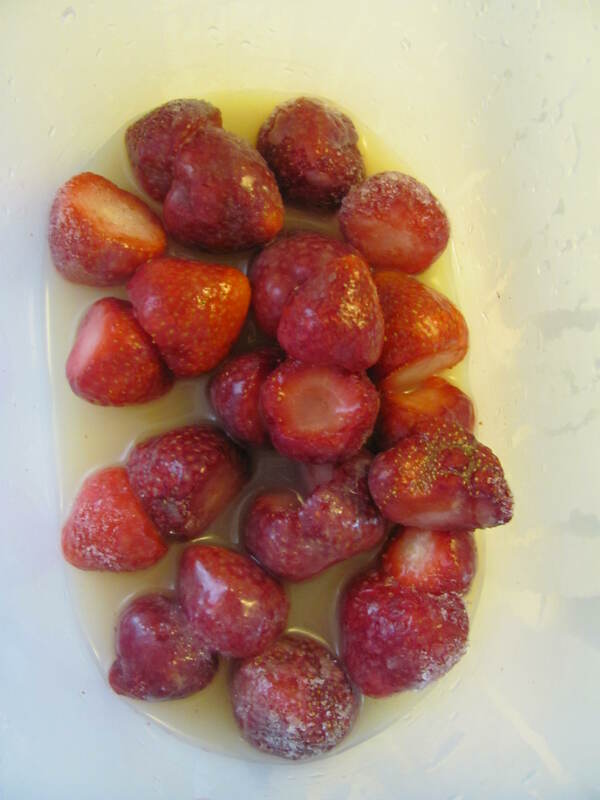 If you don’t have frozen strawberries, fresh would work, you would just have to cook them a little to help draw out the juice. And of course, fresh lemons would be preferably to bottled lemon juice, but as I said I was making due. 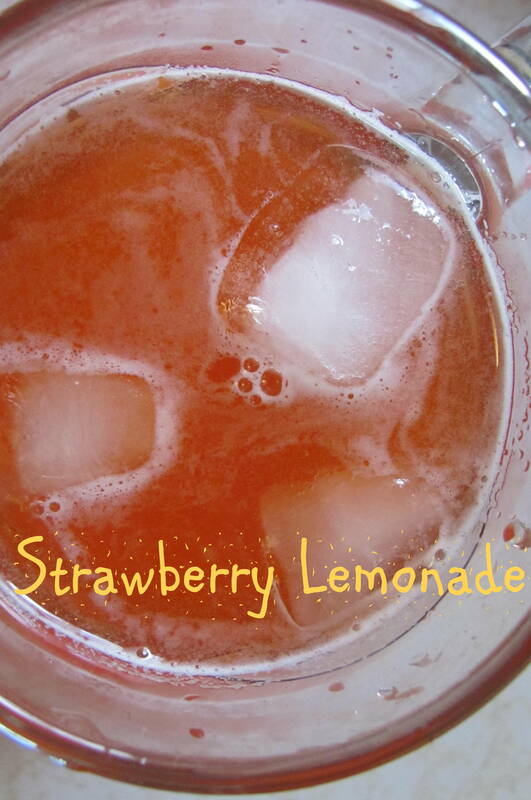 This is the perfect drink for sipping while enjoying the sun! This weekend looks like it should be a good one (though really, aren’t all weekends great!). The weather forecast is warm and sunny and we have a few plans, but not too many. Tonight there is going to be a big meteor shower. Hopefully the sky is clear so we can watch it! Saturday we are going to pick up a rain barrel we ordered through a fund-raiser at the high school to build a green roof. Then in the evening we are going to see Cirque du Soleil! I’m very excited. Sunday we will just do yard and gardening stuff. These days are my very favourite. I hope you all have a nice, sunny weekend! 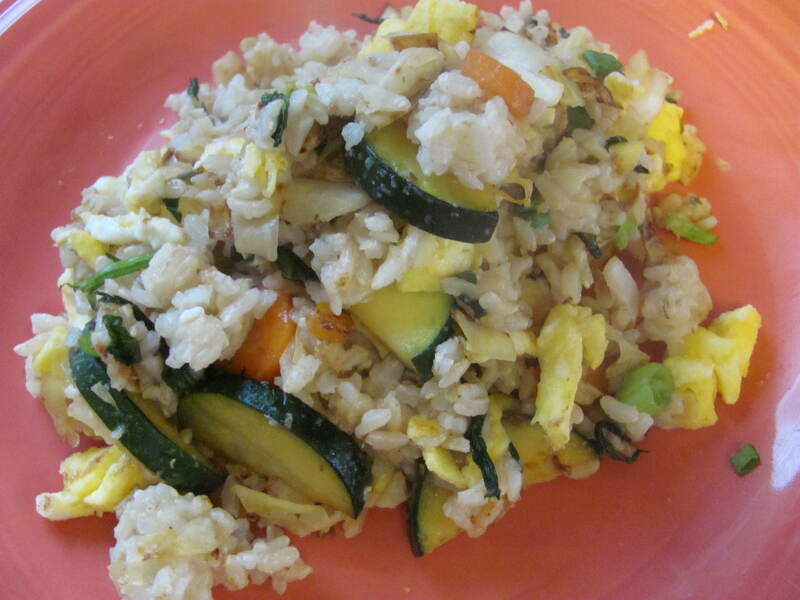 This is a super easy meal that I’ve been leaning on lately. 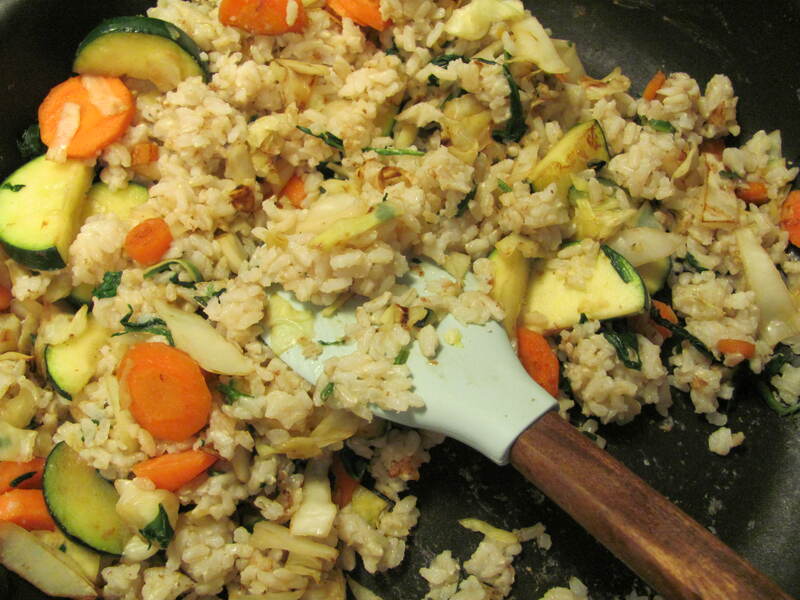 You can make it with whatever you have and it only takes about 10 minutes to make, as long as you have some leftover cooked rice (or quinoa) in the fridge. 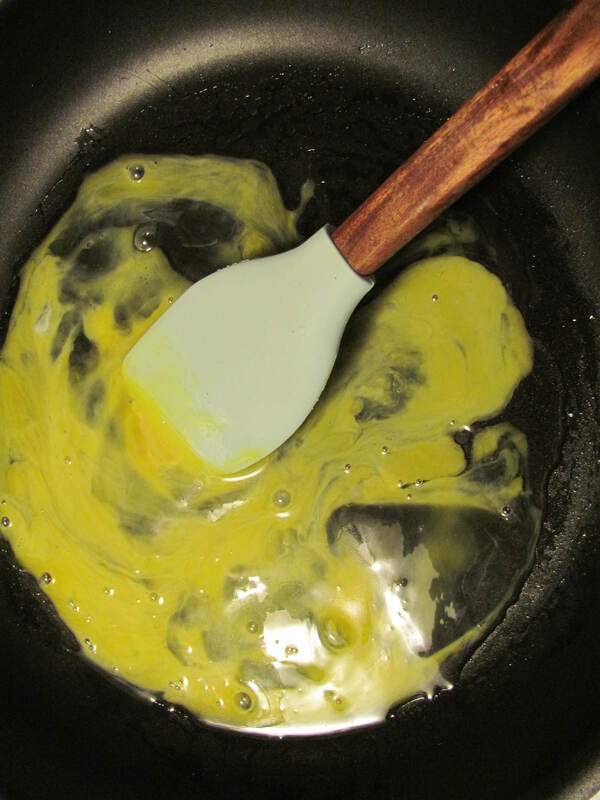 Put a little oil in a pan. 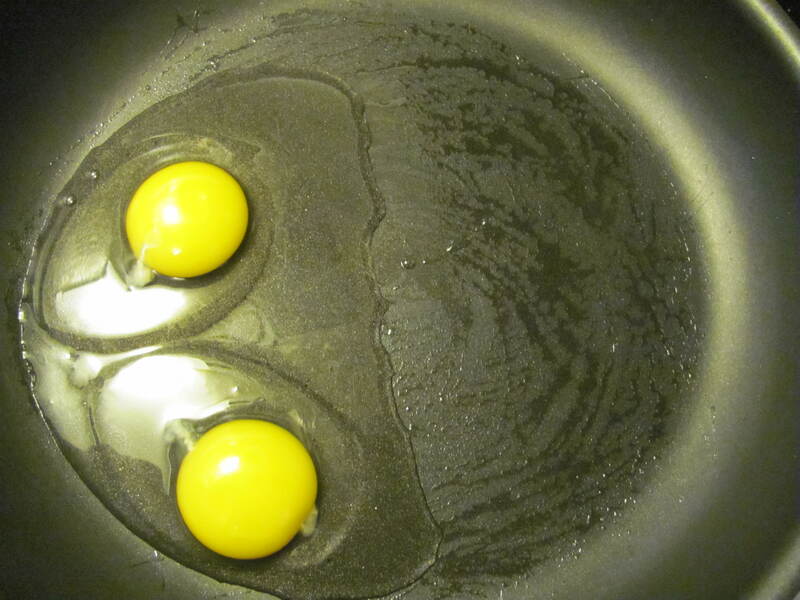 Add two eggs. 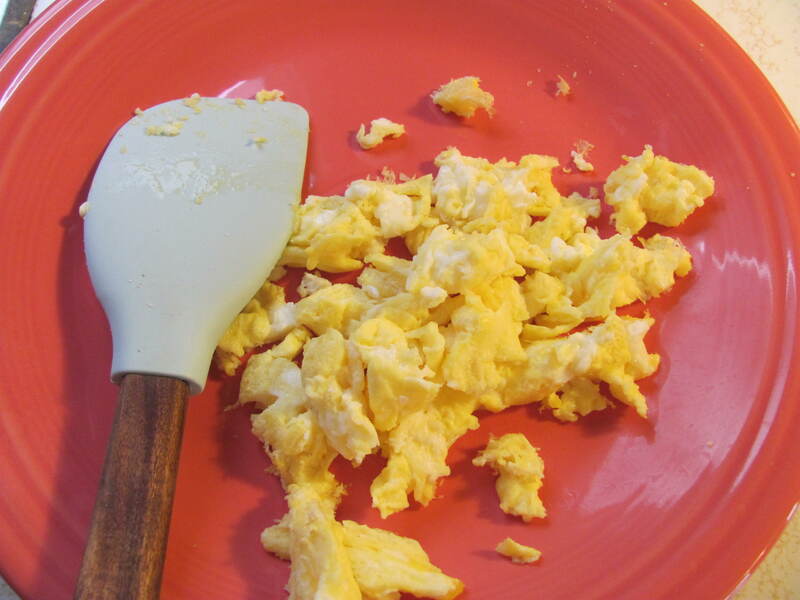 Use a spatula to scramble them, then cook. Once finished take the onions out of the pan. 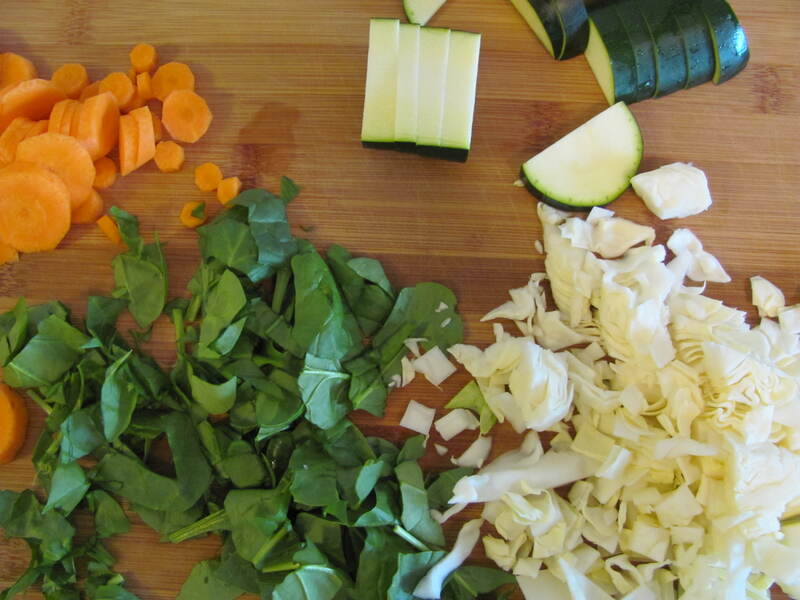 Chop some vegetables, or use frozen vegetables. 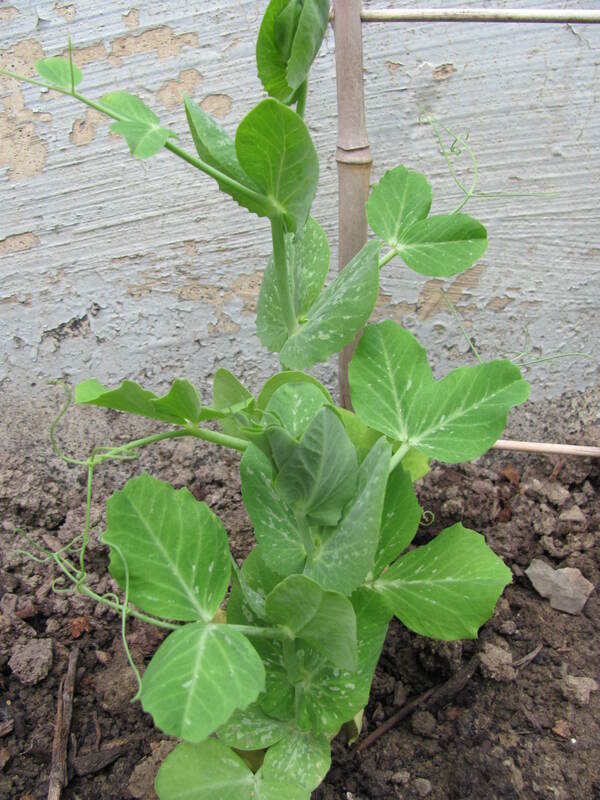 Good choices are beans, cabbage, carrots, onions, spinach, and peas, but anything works. Just don’t forget the peas! I did and I had to add them in later once I realized. 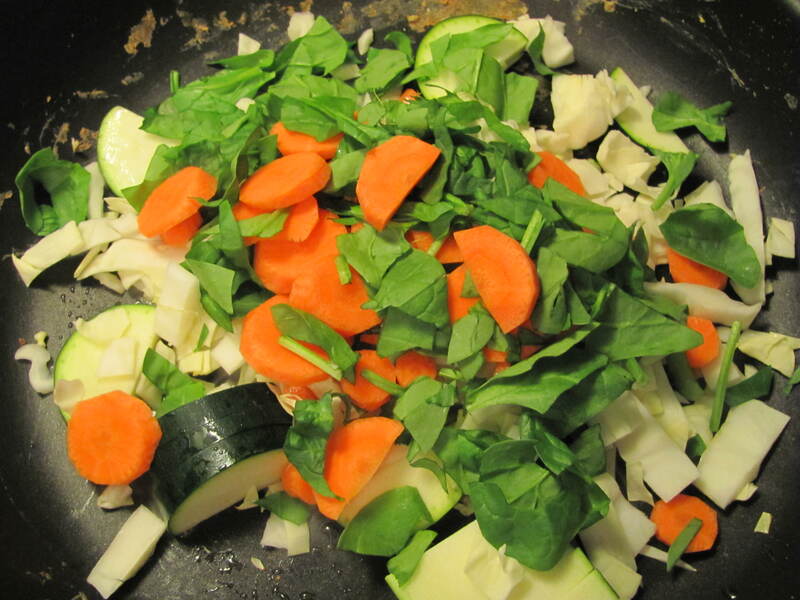 Add the vegetables in the pan and saute for a few minutes. Throw the egg back in. Sprinkle a little salt and you are good to go!